Drivers in Nassau County have been shelling out much more money after being caught by red-light cameras. Revenue from 2016 red-light camera tickets rose nearly 44% over 2015. However, the number of crashes in all major categories also rose, according to a new county report. This is the first time red-light camera revenue has risen since 2012. County officials attribute this partially to the 50% increase in the “Driver Responsibility” fee, which went from $30 to $45 in 2016. The fee pays for issuing, processing and adjudicating violations. The increase brings the total cost of each red-light camera ticket to $150. Nassau issued 487,298 tickets from cameras at 84 intersections in 2015, bringing in $33.7 million in fees and fines. In 2016, red-light cameras at 86 intersections resulted in 505,089 tickets, bringing in $48.5 million, according to the report. Suffolk County’s report, release in May, showed its red-light camera program generated $30.9 million in 2016, about the same as in 2015. Red-light cameras at the intersection of Old Country Road and Ring Road near Roosevelt Field Mall in Garden City generated the most red-light camera violations, with 29,245 issued in 2016. The intersection of Community Drive and North Service Road in Lake Success ranked second, with 25,896 tickets. Total accidents increased 8.42%, to 1,764. Accidents with injuries rose 6.8%, to 563. Rear-end crashes increased 10.8%, to 785. Side-impact crashes rose 11.7%, to 782. While total accidents were up in all categories, the number of accidents at camera-enabled intersections was down. Total crashes at camera-enabled intersections declined by 26%, crashes with injuries were down by 39%, head-on collisions declined by 84%, rear-end accidents were down 34% and side-impact collisions declined by 1%, according to the 2016 report. Officials in Nassau and Suffolk say the red-light camera program, which began in both counties in 2009, is aimed at boosting safety by penalizing motorists who do not slow down and stop at red lights. Red light camera tickets in Nassau County cost $150, including all fees and fines. There are no points associated with a red-light camera ticket, since the camera can only see the vehicle and not the driver. 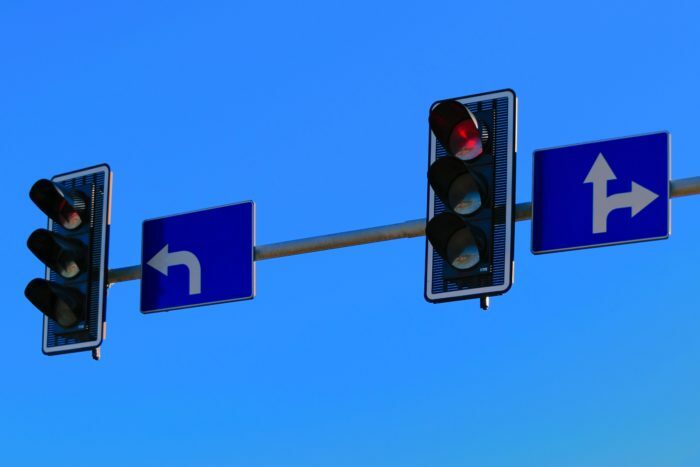 A police-issued red-light ticket in New York State can cost between $150 and $450, and result in two or three points on one’s license, depending on the municipality and statute it was issued under. If you or someone you love has been ticketed for running a red light in New York, you should consult with an attorney right away. The lawyers of the Rosenblum Law Firm are experienced traffic ticket attorneys with offices in New York and New Jersey. Email or call 888-883-5529 for a free consultation about your case.